This collection of essays by Austromarxist organiser Julius Deutsch brings into focus a rarely emphasised aspect of the workers’ movement. The idea that this movement is cultural is, of course, not novel. Especially after Gramsci, no one has disputed that. Perhaps it has been overemphasised. Some who are wary of Gramsci have stressed the same via Maoism – through the experience or the idea of Cultural Revolution. But in general the cultural question has been reduced to disputes over traditions and their interpretations, thus focusing on the rewriting of their histories; and, more recently, to valorising the alterity of the subalterns. This book does another very important service to the contemporary knowledge within the radical movements. It dispels the long-nurtured myth that Austromarxists were simply armchair intellectuals who theorised from ivory towers. It was a myth similar to that of Kautsky, whose most principled disciple and vociferous critic Lenin called him a “renegade” at a particular historical juncture and that epithet has, ever since, remained as if it were his first name. With regard to the Austromarxists, the myth was very unfortunate not just because it presented a wrong picture of them, but more so because it kept in oblivion perhaps the most heroic attempt of the working class to self-organise, and resist the insurgence of the fascist forces. Also, the great experience of Red Vienna was rendered marginal in the euphoria of the East European “successes”. One-and-a-half decades of Red Vienna (1919-34) have been considered by scholars as “the most innovative example of a progressive urban culture and society to be attempted by any major socialist or communist organisation outside of Russia” (Anson Rabinbach), and as “one of the most spectacular cultural triumphs of Western history” (Karl Polanyi, quoted on pp 8). But the intoxication of East European “successes”, despite their statist and nationalist character, overwhelmed the socialist imagination throughout the globe, and effectively outlawed every urban insurgence, which was in fact closer to the ideal of Paris Commune – its self-organisational and self-emancipatory nature – from mainstream working-class literature. The tenor and content of Julius Deutsch’s writings provide us enough clues to the Austromarxist style of thinking politics that led to a political paralysis at critical junctures. 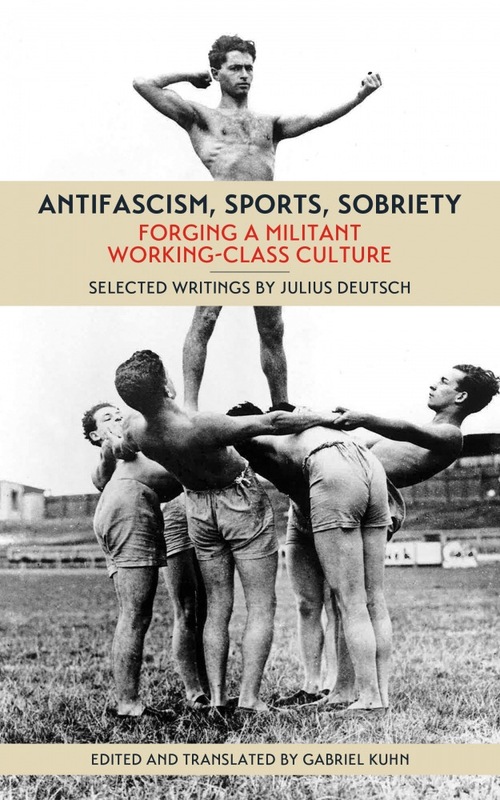 In the first text, which deals directly with workers’ militias, Deutsch recognises the need for incorporating the defence units into “the workers’ culture as a whole” and for their integration with other workers’ organisations. “This is necessary since, in most countries, civil war is latent. It might slumber for a while, but then it breaks out again with full force.” (61) Quite clearly they were quick in identifying the latent perils of their times, but they reduced the question of political interventions to manufacturing forms and institutions. The text is more about the need for a centralised controlling of the militias and keeping them disciplined rather than about politicising them – developing their self-capacity to respond to the daily class struggles. Deutsch externalises the need for proletarian self-defence and reduces it to organisational-administrative issues of mere defence. “Workers’ sport differs at its very core from the sport of the propertied classes. While the latter is individualistic, the former is collectivist. While bourgeois sport champions individual performance and records, workers’ sport champions mass achievements and solidarity. Evidently, Deutsch does well to substantiate the point that the Austromarxist presentation of the cultural question was not just about traditions, but about building “a new proletarian culture”. However, it is precisely this presentation that once again externalises the cultural question, reducing it to the issue of engineering new institutions and organising events. They were unable to present the proletarian cultural question as immanent in the daily contention between labour and capital. Hence, it seems that collectivism and solidarity were to be externally injected through institutions like sports clubs and Workers’ Olympics. But ultimately, for him, this is a mere fact, of which workers must be made conscious. Attaining this consciousness needs a pedagogic disciplining by the enlightened leadership. The ethos of class struggle has to be engineered. The Austromarxists were way ahead of their comrades in other parts of Europe in recognising the importance of the physicality of workers’ movement – of regular militias, sports culture and sobriety, which were generally stressed in lifestylist and conservative politics. They also understood the importance of proletarian self-defence. But despite its recognition, it was fitted in the same social-democratic vanguardist mould, reducing self-defence to a defence of the republican status quo, thus, disciplining the proletarian self in the service of the crumbling system, never allowing the full leeway to the potential of the proletarian self-defence to become a ground for the reconstruction of the Austrian society. The Austrian experience is far more important than the Russian experience for us today, not just because what Austrians tried to do in a much more complex and advanced society, but also because the inertia of which the Austrian social democrats suffered, resonates with the experience of the organised left of our times. Walter Benjamin writes in his essay “Moscow” (1927): “What distinguishes the Bolshevik, the Russian Communist, from his Western comrade is this unconditional readiness for mobilisation.” Lukacs once noted, using Shakespeare, that in Lenin blood and judgement commingled. The Austrian comrades too had blood and judgement, but they were surely not “well mixed.” Making the issues of culture, discipline, sports and consumption subservient to the “immutable fetish” of the organisational question, led to sclerotic tendencies within their politics. The present volume provides a sharp and clear glimpse of the strength and weaknesses of Austro-Marxism, which are ingrained in the politics of the institutionalised left in general.